Wire strands can be bunched together in any number of configurations. The higher the strand count, the more flexible the wire. 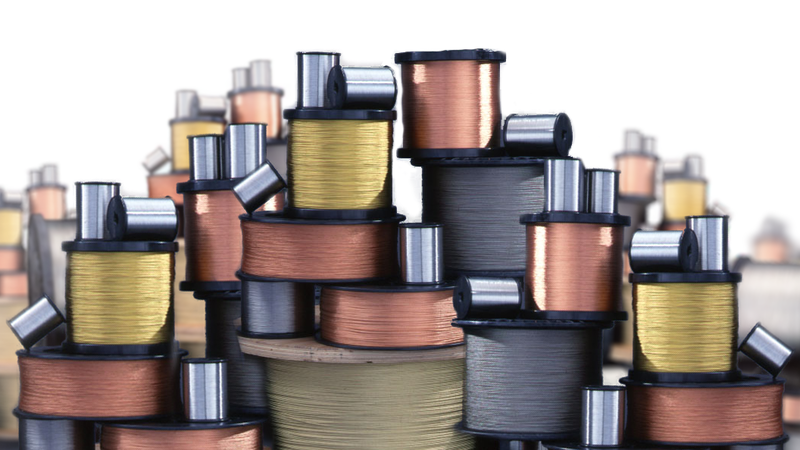 Spools of Wire Strands – Jersey Strand & Cable, Inc.
Wire strands can be made from a variety of materials. Such materials include stainless steel, titanium, alloys, and, less frequently, precious metals such as gold, silver, and tungsten. Wire strands are bound in a few common ways. The least expensive type of stranding is bunched stranding, which is when strands are gathered together in no particular design or arrangement. This is an inexpensive option because it requires very little time and labor. This is also one of the most flexible wire strand configurations. Another type of stranding is concentric stranding, when strands are arranged in a circular pattern, with each layer alternating direction and each subsequent strand growing longer. Concentric stranding is known for its mechanical strength and crush resistance. In unilay stranding, strands are arranged in a circular pattern, but all layers are twisted in the same direction and all strands are the same length. Strands arranged thus are lightweight and allow for a small diameter. In a rope lay arrangement, strands are gathered into cabled groups, which usually consist of seven, thirteen or nineteen strands. They are gathered in these numbers because these groups can easily be put together into a circular configuration. 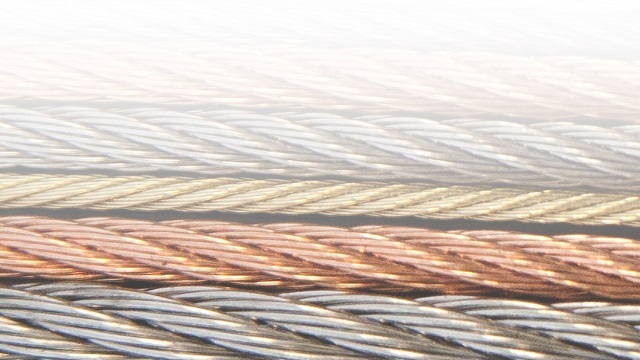 Rope lay is the most flexible type of stranding and is usually found in cables sizes 10 AWG and larger. Finally, in equilay stranding, strands are twisted in alternating directions, with each layer the same length, to create a circular pattern. Bunched, concentric, and unilay are the most common types of stranding. Wire Rope Cables – Jersey Strand & Cable, Inc. These stranding processes and types are divided into stranding classes, each with different applications, starting with concentric strandings. All classes in Concentric Lay (Classes B-D) are designated to power cords, with flexibility increasing as you go down the alphabet. The following are the designations for strandings in Classes G-M (Rope Lay and Bunch Stranded): G: all cables for portable use (concentric lay), H: all cables that require extreme flexibility (concentric lay), I: apparatus cable and motor leads (bunched), K: 30 AWG copper wires; used for stationary service (bunched), and M: 34 AWG copper wires; used for constant service (bunched). Wire strands are an excellent option for wiring when the consumer is seeking flexibility, especially in larger wire sizes. The larger the single wire, the less flexible it becomes. Thus, fine stranding becomes more necessary and practical as wires and cables get larger, as it allows for the needed flexibility that the single wire cannot provide. Aside from offering greater flexibility for routing, wire strands also boast more durability in the face of vibration and infrequent movement. Wire Strands Wire strands are small metal, usually cylindrical, strands that are bound together to conduct electricity, bear mechanical loads, or transmit telecommunications signals.